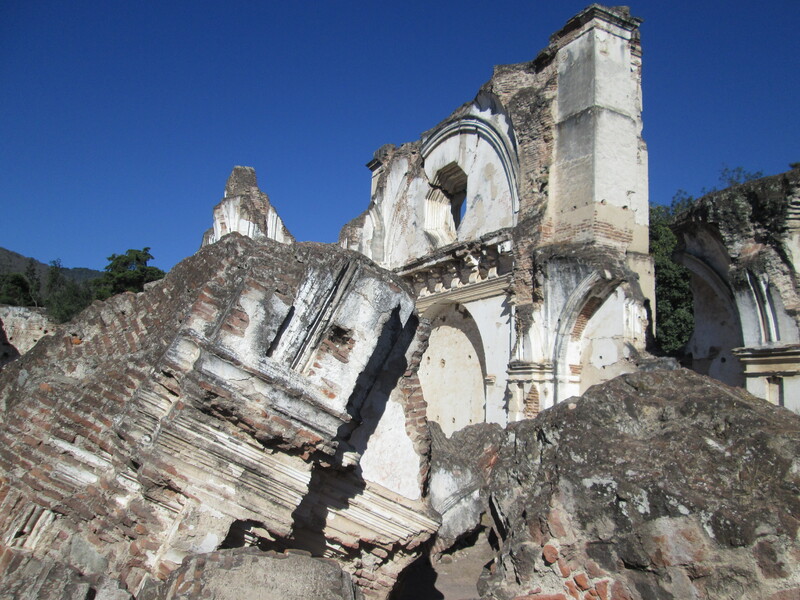 At 3:45 PM on July 29, 1773, a Richter 7.5 temblor struck the third capital of Guatemala, then called the Ciudad de Santiago de los Caballeros de Goathemalan. The city was filled with churches, monasteries, and convents. Half of the city’s religious were killed by the quake, and within a couple of years, the capital moved to its present-day location in the Valle de la Ermita, where it is known as Guatemala City. Nowhere was the devastation more apparent than the churches in the western half of the city now known as Antigua, especially the Church of the Recollects on 1a Calle Poniente. During my five-day stay in the city, I visited approximately a dozen ruined churches. None, however, made quite the impression on me as La Recolección. The roof of the church had completely caved in, sending huge multi-ton masses of brick and concrete crashing to the floor. If any services were being held at the time, I find it hard to believe that there were any survivors. For all I know, there may still be skeletons under the masses of rubble. While in Antigua, I called my brother in Palm Desert, California and described the chaos to him. Dan Paris, who has spent years building in earthquake country, told me that much of the disaster could have been avoided if only the Spanish had mixed straw with the concrete. The Maya, whose own houses were built based on a racial memory of thousands of years of shaking earth, did not suffer quite so much. 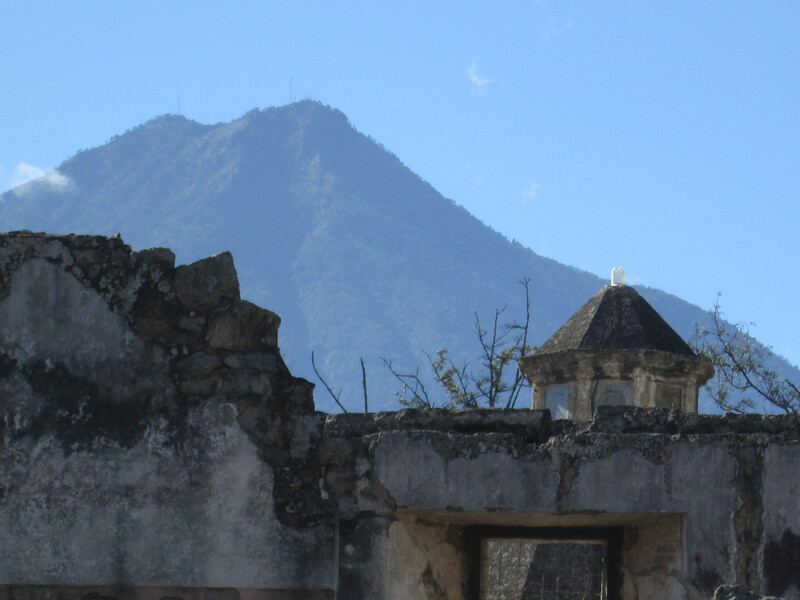 Not all the churches in Antigua were flattened by the Santa Marta quake of 1773. 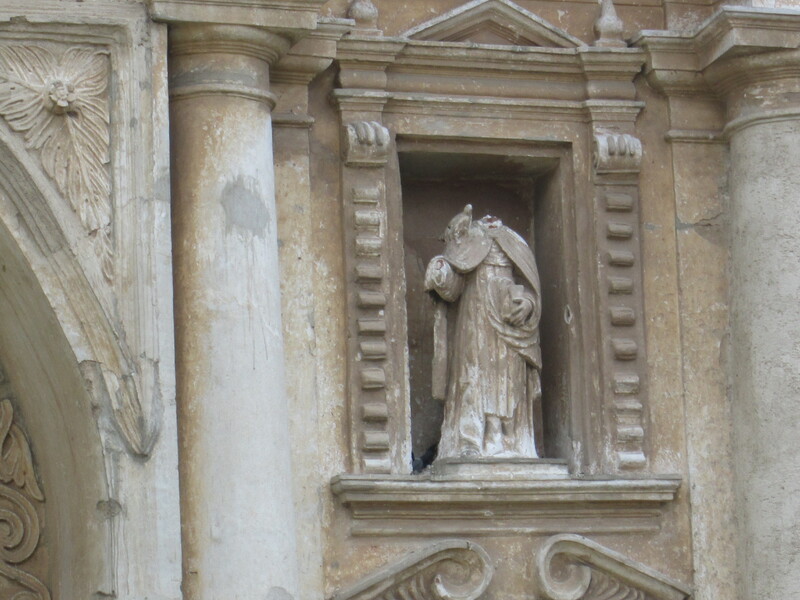 La Merced and San Francisco were two of the churches that managed to survive more or less intact, though the convent attached to La Merced was heavily damaged. It felt odd for me—who had traveled to Guatemala to see the ruins of ancient Maya cities—should have started my trip visiting the more recent ruins of Christianity. It made me feel as if the Christian ruins were, in their own way, equivalent to the Maya ruins, and that we are all subject to the vagaries of time and chance. This entry was posted in vacation and tagged antigua, christianity, earthquakes. Bookmark the permalink. Futility Closet Odd facts, quotes, puzzles—You name it! TodayIFoundOut.Com Interesting facts to while away a few idle moments. Brain Pickings A well crafted literary and philosophical website. A Celebration of Reading Highly articulate essays on reading, education, and other subjects. Laudator Temporis Acti Literally “in praise of times past.” A wonderful place for discoveries.